“The Passage Between Us (These Little Truths)” is a performance designed for a staircase of the National Gallery of Art and multiple performers, encompassing speech, singing and movement formations. The main thematic focus lies on communication and relationship with oneself and others and brings together three main aspects: voice dialogue, interrelationship, and misunderstanding. Firstly, “Voice Dialogue” is a therapeutic practice that comprises of identification of – and dialogue between – voices (characters) within a person’s self-perception in interaction with the world. These inner voices order and create our everyday realities. When made aware of these voices, according to the artist, it is possible to change one’s internal attitude. If the individual can be considered part of a continuum, what we say to ourselves is unavoidably said to others too: our internal dialogues reflect into the interactive space of a community that constantly re-formulates itself, creating “interrelationship”. Finally, misunderstanding appears during (mis)translations in-between languages or from thought to speech and vice versa. The artist sees the idea of “misunderstanding” as creative opportunities to enter perception, processing, implementation and shifts of the truths and voices we have internalised. In her performance Kotlaris uses the architecture of the National Gallery of Art as visual and spatial representation of mental spaces. Voice dialogue (in the literal and the therapeutic sense) steps in as methodology to activate it physically. Precisely the staircase of the building is important for the artist: the spiral shaped space functions as metaphor for an inner place where dialogue occurs in different stages and distances of visibility and audibility. In addition to the performance, from Thursday August 10th until Friday August 11th, Kotlaris will present “These Little Truths” in Pakrante’s gallery space (Vaidilutės st. 79). “These Little Truths” is a collection of sculptures that elaborate upon the thematic of internalized beliefs through a material approach. Her way of combining found and made objects suggests alternative orders, interpretations and relationships between things. Exhibition will be open on Thursday from 12 noon to 5 pm, and on Friday from 10 am to 5 pm. Johanna Kotlaris (b. 1988, CH) is based in Rotterdam and Zürich. She holds a BA Graphic Design from the Gerrit Rietveld Academie and is currently completing her MA Fine Art at the Piet Zwart Institute in Rotterdam. 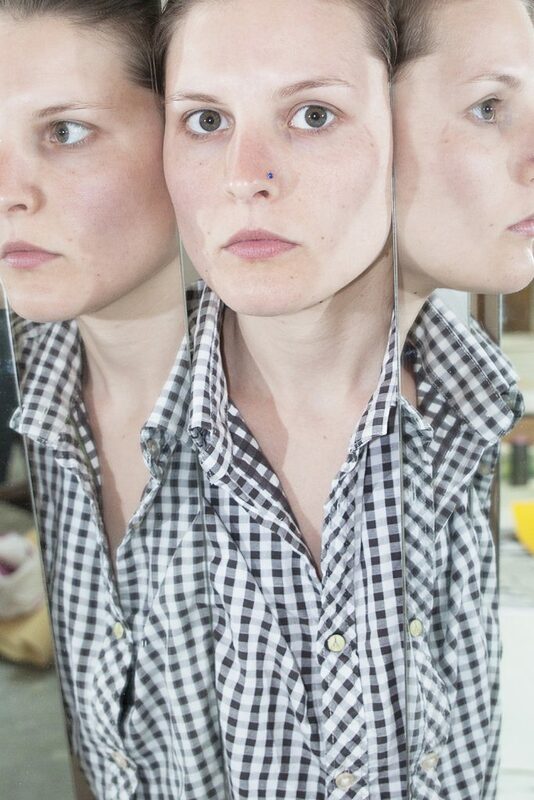 Her practice comprises photography, video, installation, sculpture, performance and sound. Her works have been shown at Museo d’Arte della Svizzera Italiana Lugano, Dienstgabäude Zürich, The New Gallery Calgary, Kunsthaus Langenthal, Schwarzwaldallee Basel, Stadtgalerie Bern, Castrum Peregrini Amsterdam and others. Kotlaris was awarded with the Gerrit Rietveld Academie Award, the Young Photography Talent Fellowship by Pro Helvetia, the Patronage Fund for young Swiss artists by Basler Kunstverein and was shortlisted for the Migros Ticino Artistic Creation Award and the VFG Young Swiss Talent Award. The event is organised by Rupert in collaboration with the National Gallery of Art.